If you don’t know already, pasta is my ultimate favourite thing ever – if I am ever reaching for a treat, pasta will be the first thing I go for… normally paired with a glass of red! I think there is a lot of confusion about what pasta we can eat and if it is actually good for us. Should we avoid white pasta at all costs or is it ok every now and again? 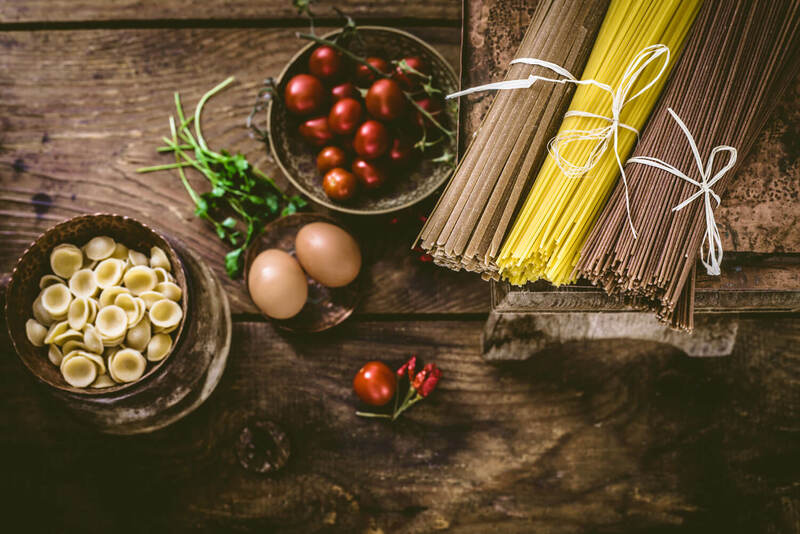 I have roped in the help of my nutritionist at Results with Lucy, Louise to help you understand a bit more about pasta and whether or not you should be eating it!
. Whole wheat contains three parts of the grain—the bran (the grain’s outer layer), the germ (the sprouting section of the seed), and the endosperm (the large starchy center). BUT during the refining process for white based foods including pasta, the nutrient-rich bran and germ are removed from the grain. 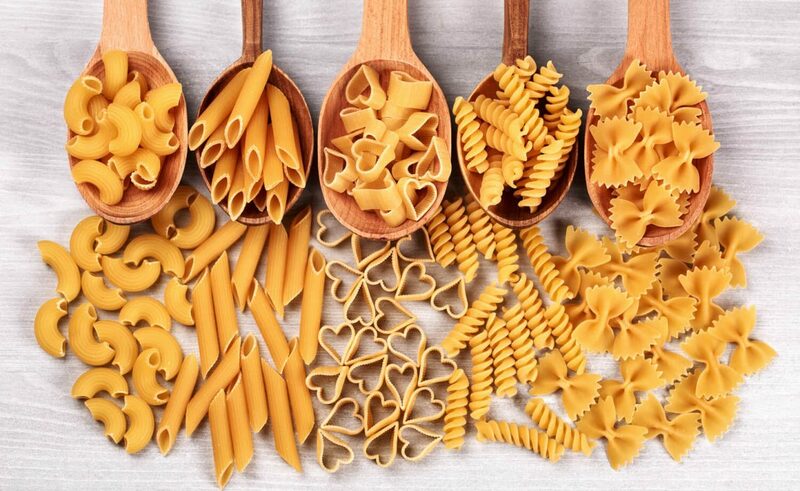 Although some nutrients, including iron, fibre and B vitamins, are often added back into white pasta to create an “enriched” product, these still can’t compete with the natural benefits of unrefined whole grains products. 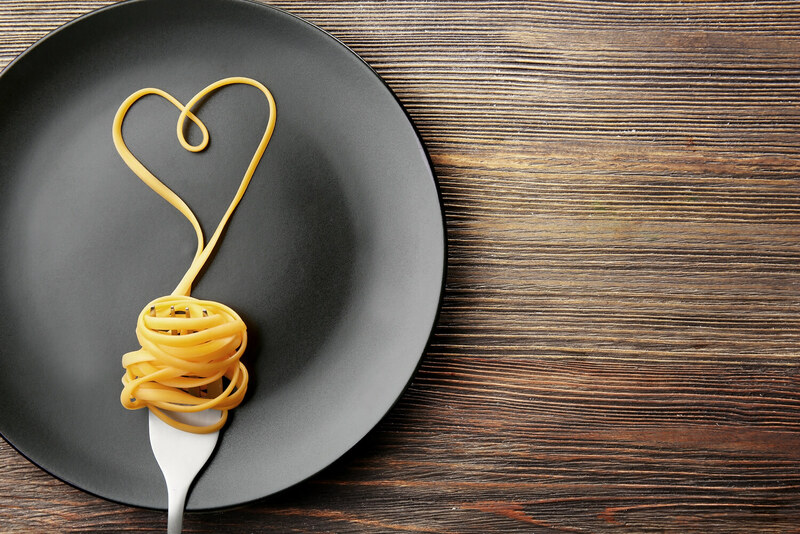 Opting for whole-wheat pasta ensures the most nutritional benefits, including the bran and the germ’s vitamin E, B vitamins, antioxidants, fibre and protein. So why should be avoid eating white pasta? In general, white pasta is composed almost primarily of simple sugars, also known as simple carbohydrates. Carbohydrates are necessary for the body for various reasons including giving you energy and supporting your brain and nervous system. However, simple carbs, like white pasta, are those which are quickly digested by the body. These types of carbohydrates can cause a number of issues when eaten, especially in high amounts. Firstly, as simple carbohydrates are quickly digested they do not stay in your stomach for a long time. This in turn can cause you to often feel hungry soon after eating them. Simple carbs also cause a rapid spike in blood sugar, followed by a sugar ‘crash’. This usually leads to feelings of tiredness, hunger and foggy thinking. And, what about whole-wheat pasta? Wholewheat pasta is classed as a complex carbohydrate, not a simple carb, simply because it is less refined than white pasta. Complex carbs take longer to digest, because they still have their natural fibre intact, and they do not cause such a rapid spike in blood sugar meaning it gives you more energy and keeps you feeling fuller for longer. Remember to always check labels before you buy anything – true whole wheat pasta will list 100 percent whole-wheat flour as the first ingredient. Portion control is important when eating pasta (including wholewheat) as often people eat far too much. A serving of pasta should be 3 heaped tablespoons however many people would eat twice than that amount in one meal. 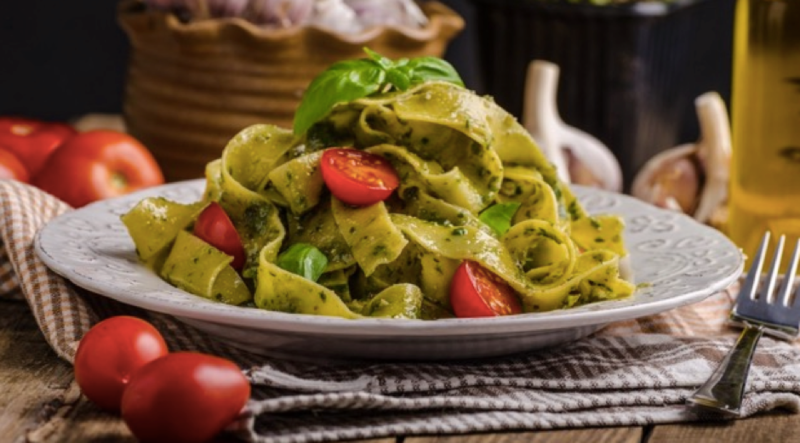 Instead you should keep to the pasta portion guide and fill the rest of your meal with protein based foods such as chicken, turkey or tofu and add lots of healthy and nutritious fibrous vegetables. At Results with Lucy we recommend whole-wheat pasta and courgetti as a vegetable alternative that is packed full of nutrients! 1. Heat some water in a pan and cook the pasta as per the given packet instructions. 2. When there is approx. 10 minutes left on the pasta cooking time, heat water in a separate pan and add the leek, asparagus and peas. When the water comes back to the boil, add the shredded greens and cook for 1 min. 3. When finished cooking drain both the pasta and vegetables and add to mixing bowl. Add the pesto, tomatoes, basil and goats cheese and give it a good mix. Season with the salt and black pepper if you desire. 4. Split the mixture between 2 bowls and enjoy!